Our Testing was successful implementation in this project. 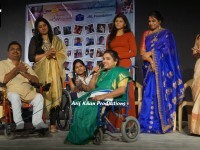 Its change in lifestyle of physically challenged people in Hyderabad. Though the constitution has given equal rights for all citizens of India, people with disabilities often face difficulties in availing services and accessing facilities. Non conducive Public places, Learning facilities, etc. restrict the people with disabilities in learning, pursuing, practicing or exploring any vocation. 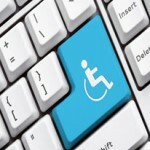 We organize Accessibility awareness programs for various Educational, Business, Entertainment, Residential, Transportation organizations. At WOW Foundation We bring opportunities close to underprivileged children. This will allow children to be bold to study well, self reliant to achieve goals for their bright future. We are giving Education support to Venkata Sai who is pursuing Charterd Accountancy. 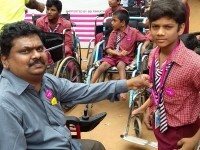 His father a Differently abled person. Donated a Wheelchair to a Government Cancer Hospital. 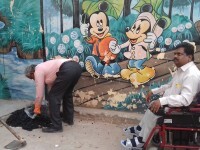 You can see the Beneficiary on Wheelchair. Given Education support to Manya LKG for the year 2017-18 from Kanpur. Her father a Differently abled person. DONATED used LAPTOP to a Disable person called Chandrasekhar from Medak District. It was not less than a Award Functions Night. I was a printing service provider but was not having any computer skills. I was only taking printing jobs, getting designing from othger designers and coordinating the print work. For every small changes, I used to run around designers and was wasting my efforrt, time and energy. In such dire need of time, I came across Narsing Rao Bongurala of WOW Foundation who taught me basics of CorelDraw and Photoshop. Today, with his guidance, I am able to design brochures, pamphlets, etc on my own and doing my business more effectively. When i lost hope on life. I was not having any computer skills or communication skills. That's when I came in contact of WOW Foundation's Narsing Rao gaaru, who not only taught me computer skills but also motivated me to excel in life. Today, I am working in one of the Defence Research Labs in Hyderabad and leading happy life with kids. 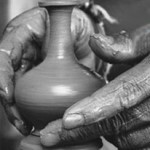 Due to family problems, I was under pressure and depression for daily earnings. That's when Narsing Rao Bongurala motivated me with his kind guidance. He taught me various tools useful for DTP and Designing. Today, I am employed with one of the premier Engineering College and making decent earnings. Thanks to WOW Foundation. I had to drop from my graduation due to family's financial crisis and was in total despair without any hope. That's when I came to know about WOW Foundation. Narsing Rao Bongurala has really helped me a lot and taught me advanced skills in CMS, CSS, Web Accessibility, designing, etc. With such motivation, I finished my graduation recently, doing a job and supporting my family. 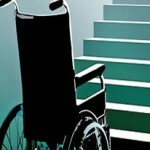 I am a disabled woman, staying with my husband who is a private job holder. We were not having any direction in life. Through a family friend, I came in contact with WOW Foundation. Now I am learning tools for graphics designing, DTP, etc from Narsing sir. I gained lot of confidence. Soon, I am going to start my own designing services consulting. Thanks to WOW Foundation. We are very happy to be part of Hyderabad Metro Rail Promotional Film. Watch the WOW Foundation founder and other team members in this video. We tested the Nagole Metro Rail Station for the accessibility. It’s awesome experienced for testing and auditing Accessibility at the station. Kudos to entire L&T Metro Rail team. WOW Foundation invite people of all age groups to register with us, and participate actively in our all social service activities. You can associate with us during your free time, and weekends. for volunteer work & we will keep you inform about our activities.